The new Evo 2015 has a wide range of usability for advanced riders. Tuned for hooked in and unhook and that's not a easy combination for kite designers. The short depower is one of the most prominent characteristic and it defines the new Evo. The short depower stroke is great for the transition from hooked in to unhook riding, no adjustments. But get used to the short depower feel. The Evo is explosive and will shoot you to big heights. If you don't want to drop, keep the bar close to the belly and you will glide. If you like an easy flight and longer depower range, the new North Rebel can serve you. The new Evo is more stable as the 2014 model, its really fast and explosive. 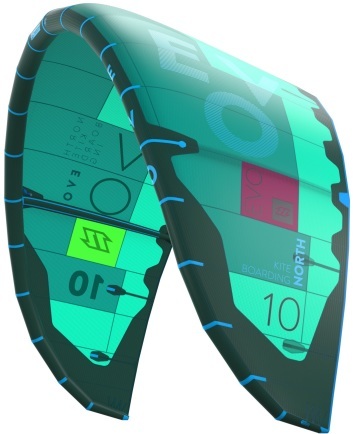 A kite for advanced riders who like that aggressive & playful power. Is the new Evo all-round? Yes, we would say; all-round for the advanced performer! Tune!! In a short depower stroke the evo depowers 50%. Like to glide? Tune the Evo with pressure on the backlines! Sheeted great, short depower so tune the Evo right! With a short depower stroke you can tune the kite placement & power to go upwind, really nice. 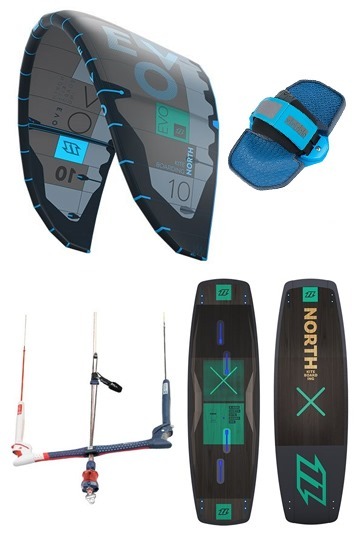 I've been kiting the entire season with the 9m Evo. If you're gonna buy one kite size buy the 9m. It has great wind range, the low en is better than the high end but it surprised me how easy it flies in low wind and in strong winds. THe best thing about the evo is that you can feel exactly where it is and what it does. That makes it nice for freeride and some freestyle. I've used it a lot when wave riding as well. it has a nice drift and reacts pretty fast when you need it to. In my eyes this is the perfect allround kite. I have tried the kite only once in a choppy/small waves conditions. Hangtime and boost time is awesome. Kite is well built however some part of the bar looks a little bit flimsy. 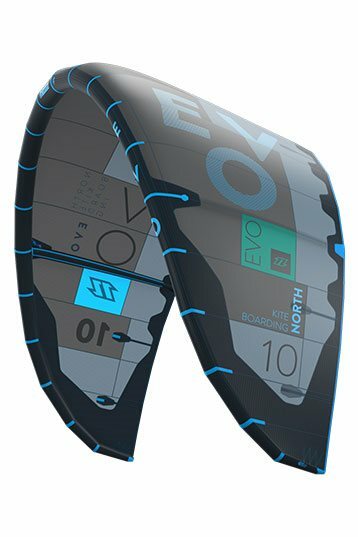 The North Kiteboarding agent told me that the new Evo isn't really different. After a few sessions I think I like this new Evo more than the 2014. It's more stable, fast and has a really explosive lift. The de-power range is pretty short and in a range of 20 cm you lose a lot of power, so tune the Evo! The new Evo has a wide wind window with good power on the edge (sheeted) and therefore easy to go upwind. So at the end this new Evo is tweaked on the most important characteristic! It's more stable as the 2014 model, still really fast, short turning and generate explosive power.